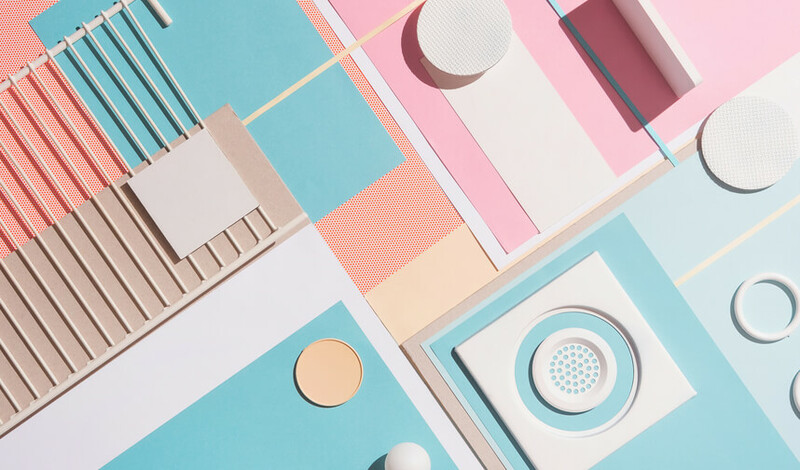 Adobe’s Digital Trends Report, now in its eighth year, gives an annual view of the digital trends, showing what distinguishes outperforming companies from their peers. Based on the largest global survey of its kind, the Digital Trends Report surveys almost 13,000 marketers globally. The research looks at the most significant trends that will impact companies. The research also identified a number of top-performing companies in order to identify how they are focusing their activities and investments differently compared to their peers. While there are plenty of new insights in this year’s report, the message is again coming through loud and clear that in order to achieve the blend of tech, data, and design – you need the right culture. Companies committed to delivering experiences are adopting a cross-team approach with the customer at the heart of all initiatives and collaboration. These organizations are winning by a significant margin, and have built a cohesive, long-term plan for attracting future customers. So, it’s not surprising that these companies are the leaders in the industry. A lack of integrated marketing technology reduces the chances of providing a seamless customer experience, and can also be frustrating for employees who want to go about their jobs without unnecessary restrictions in their ability to acquire, retain, and delight customers. In terms of their tech setup, 43% of organizations report a fragmented approach with inconsistent integration between technologies. Top-performing companies are almost three times as likely as their mainstream peers to have invested in a highly-integrated, cloud-based technology stack. 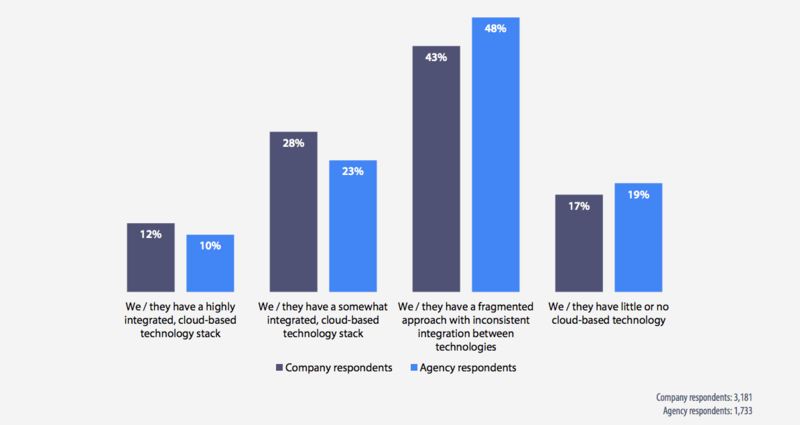 Adobe’s research shows that a highly-integrated, cloud-based tech stack for marketing and customer experience requirements is very much possible, with 12% of respondents claiming to have this in place. Companies need to ensure they have a balance of skills between the analytical thinkers who can draw insights from data – and the creative talent to bring marketing and advertising campaigns to life. Significant investment in digital skills and training is strongly correlated with high performance, with top-performing companies twice as likely to be investing in digital education during the coming year (45% vs. 23%). Organisations must ensure that they are keeping their employees up-to-speed with the latest trends and technologies, whether through internal face-to-face and online training courses, or one-to-one mentoring and coaching in specific skill sets. Third-party companies such as technology vendors, agencies, and independent training vendors can also help to ensure that upskilling requirements are catered for. 4. AI is set to play a growing role in helping marketers to deliver more compelling real-time experiences. When asked about the themes and technologies the survey participants are most excited about over a three-year timeframe, ‘delivering personalised experiences in real time’ is by far the most popular choice across all regions, with more than a third (36%) of company respondents, and 40% of their agency counterparts, selecting this option. Top-performing companies are more than twice as likely as their peers to be using AI for marketing (28% vs. 12%). Only 15% of companies are already using AI, but a further 31% are planning to do so in the next 12 months. Looking only at respondents with annual revenues of more than £150m, the proportion of organizations using AI increases to 24%. 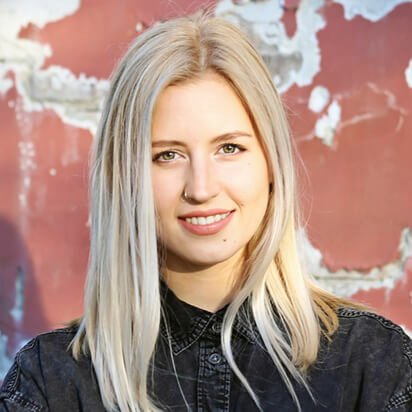 Analysis of data is a key AI focus for businesses, with companies keen to create insight out of the vast quantities of often unstructured data being generated by customers’ activity. There is also a focus on optimizing creative workflows to facilitate the rapid creation and deployment of content across multiple platforms. 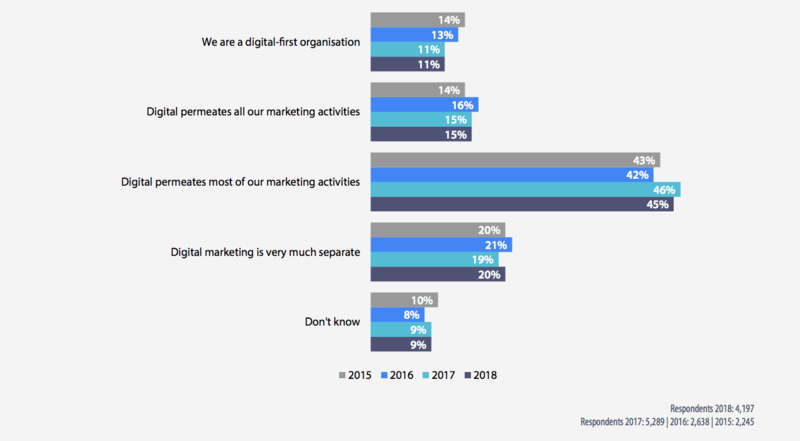 Around half (51%) of marketers rank this as very important for their business, though this percentage has fallen from 53% last year. It is worrying that this figure has not climbed as it has become more crucial than ever for organisations – especially enterprise businesses – to be able to create, maintain and control workflows with minimum friction. Investment in integrated technology solutions can allow companies to automate, optimise, and personalise at scale, in a way that simply isn’t feasible if you are relying on manual input to make this happen. The right processes and workflows are paramount, but only 17% of companies strongly agree they have ‘streamlined workflows that allow them to respond to increasing demands from new channels’. 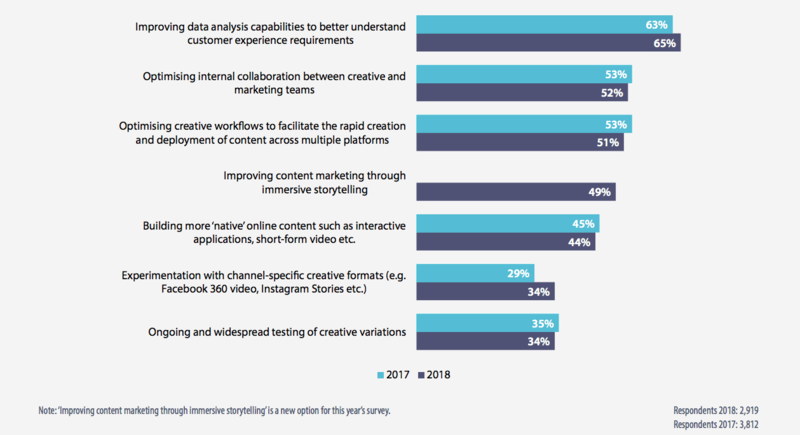 According to Adobe’s research, organisations that ‘have tools that allow for streamlined workflows between creative and content marketers / web teams’ are 62% more likely to have exceeded their business goals by a significant margin (21% vs. 13%). Digital transformation is very much a journey rather than a destination, so the focus is on CMOs and CIOs to make sure they have a clear roadmap and technology in place for the rest of 2018 and beyond. Investment in technology and related skills is paying dividends. Companies with integrated technology stacks outperform competitors. Investment in digital skills and education pays off. Digital-first organizations are more likely to exceed business goals.